To catch up, Part I is here and Part II is here. 5) The power of Bruckner can’t be assessed from a Youtube video. Go see a live performance. I don’t know when the next Bruckner performance in my area will be (as it turns out, the last one was April 20 and, uh, needless to say, I didn’t go). But I’ll keep an eye out for future performances. This idea should have crossed my mind immediately, as I’ve written about the great divide between listening to recordings and listening to live performances before. In January I wrote a review of a performance of a piece – Ligeti’s violin concerto – that I don’t know I’d enjoy on-disc, but that in-person actually came across as quite interesting. Maybe for whatever reason Bruckner falls into the same category. I also think it’s important to remind myself that Bruckner never imagined that his work would be heard via tinny tiny speakers. He clearly intended every performance of his orchestral works to be Events of Epic Sonic Proportion, meant to be experienced communally with a huge live orchestra. Perhaps the modern ubiquity of recordings, and the subsequent…I don’t want to say “cheapening,” but it’s the only word that comes to mind…of musical performance somehow contributes to the perception of his work as being overblown and pompous. Nowadays, unless we hear a Bruckner symphony live, it’s simply not the big communal event that he must have envisioned, and I suppose it loses something integral when it isn’t. You know how performers have their historical practice, attempting to recreate certain aspects of what the performance must have been like in the past? Maybe listeners should have a version of it, too. 6) Bruckner may have had autism or Aspergers or a similar condition. Wow, here comes another weighty issue…the practice of attempting to diagnose historical figures using modern medicine. This one is way too complicated and controversial for me to even dip a toe in. That being said, I’d be interested in reading any reputable research that has been done on the subject. Or even what people think about this practice in general. It seems to be increasingly common. 7) Um, if you hate him, avoid him. How hard is that? I feel hesitant about point-blank ignoring a composer whose work I don’t like at first listen. Everyone should be. Many pieces I couldn’t stand at first listen are now some of my dearest favorites. But clearly none of them have had as uphill of a battle as Bruckner. And that’s the struggle I’m trying to document. 8) Be patient. Don’t force the love. Let yourself grow into it. Some things take a lifetime to appreciate. After mulling all the suggestions over, this one has emerged as my favorite. It glows with a patient wisdom I’ve (clearly) yet to acquire. The day I posted this essay, I watched the first of Bernstein’s six Harvard lectures. (Highly recommended, by the way.) He said something that nearly made me squeal with delight. I can’t remember the quotation word for word, but it was something along the lines of “I reserve the right to be wrong.” If Leonard Bernstein can reserve the right to be wrong, can you imagine how entitled I am to it? I look forward to seeing how my relationship with Bruckner’s work develops. I’ll be the first in line to denounce this article if my opinion changes. 9) You are a lot of contradictory things. Yes, I certainly am. I found out in the comment section of Part I that I don’t understand God – I’m an excellent writer – I’m the author of horrific slime – I’m hilarious – I’m a naive sixth-grade bully – I have an antipathy toward men – I’m strangely attractive. I voiced a widespread opinion that wasn’t particularly shocking while at the same time subscribing to disturbingly disrespectful heresy. 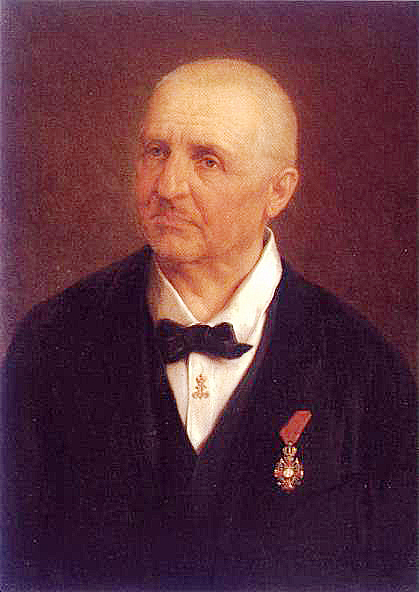 Clearly this hubbub speaks less to what I am and more to what Bruckner is: a man who created work so massive, and so massively controversial, that we’re still arguing passionately about it more than a century after his death. Which is an accomplishment absolutely none of us can boast of. That’s a bottom line we all can agree on. And yes, to Bruckner. Who I feel I should address directly. I wish we could sit down and talk. Really. I wish I could take your skull into my hands and stare into it and somehow understand you. But I can’t, so here’s what I want to say. Your work has made an impression. It made me care enough to voice an unpopular opinion. You tested my honesty and integrity as a writer. You made me stop and think some hugely, hugely important questions about how I engage with music and music history. And consequently somehow in the last week or so of hating you, I’ve come to be…almost fond of you. In a really, really weird twisted way. Maybe someday I’ll hear the glory – understand you, the man – hear a magical performance, finally, that moves me to tears – and become an evangelist for your work. 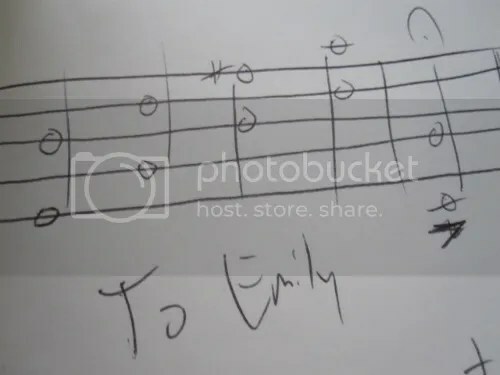 Or, I’ll grow as a listener and human being and still actually kind of not be able to stand a single note you wrote. You know. Either/or. But. Either way, it’s something – it’s better than what I started out with. You, along with all of my readers, made me think. Being taught is the best thing a blogger can aspire to. As long as you keep me the heck off that list – (and I’m guessing you will) – maybe we can live in peace.